Process this wonderful nylon filament on your 3D printer at a low temperature of 230°C. 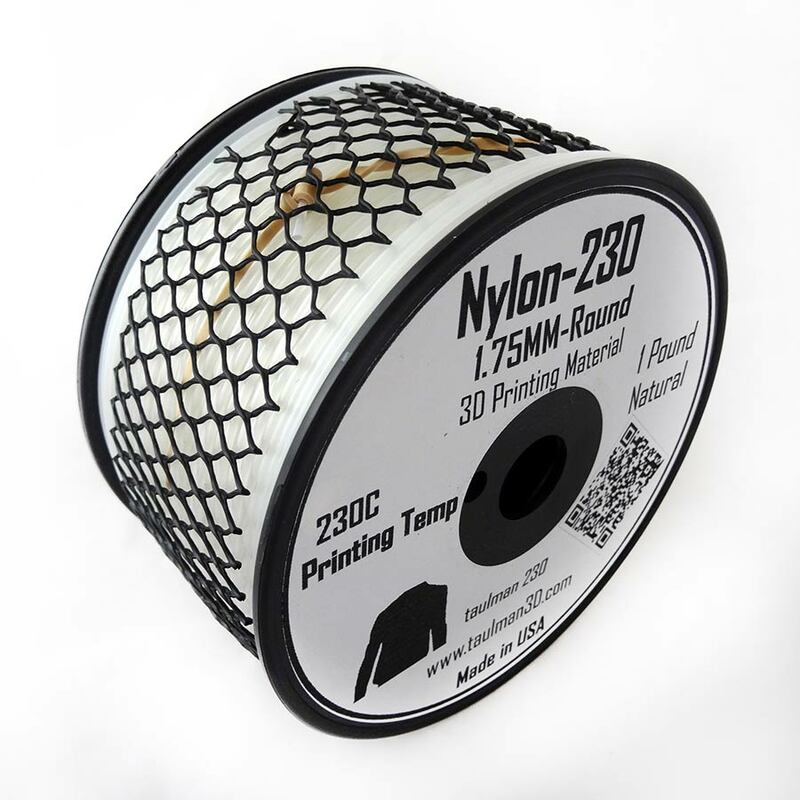 Nylon 230 is the first nylon filament to be processed at 230°C or less. This is a lower temperature than any other nylon filament for your FFF/FDM-3D printer. With the release of Nylon 230 from Taulman3D, you can now process nylon on your low temperature PLA or ABS 3D printer. Add high-strength nylon to your list of processable materials. In addition, Nylon 230 adheres to BlueTape (painter's adhesive tape) and even better to "buildTak" type surfaces and various PVA glues / glue sticks. Buy Taulman Nylon 230 if you are looking for a strong and reliable filament for your FFF / FDM-3D printer.